Traveling to San Francisco, CA? 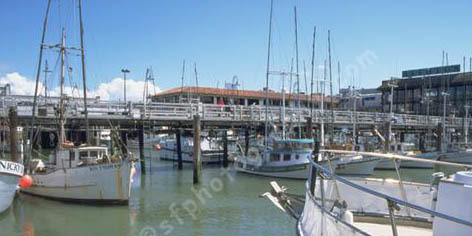 Why not stay in the East Bay at an Oakland Ca vacation rental? The San Francisco Bay Area, California, offers quaint beds-and-breakfasts to historic hotels. The Golden Gate Bridge may be the city’s most-photographed landmark, but San Francisco has more than its share of photo ops: think the cable cars rolling up Powell Street, the row Victorian-era “painted ladies” facing Alamo Square, or the hairpin curves of Lombard Street as it descends Russian Hill. Don’t miss the hippie-vibe of Haight-Ashbury, the neon lights of Chinatown or the sea lions at Pier 39 near Fisherman’s Wharf. About 14 miles south of the city, San Francisco International Airport (SFO) gets you downtown in 20 minutes. San Francisco, Oakland & East Bay vacation rentals are the perfect place to stay for travelers who are looking for that hotel alternative. San Francisco rentals run the gamut from studio apartments to five-bedroom homes to luxurious complexes with several units that can be rented individually or as a whole. Designed for those who plan on short-term stays with the privacy and amenities of home, San Francisco vacation rentals & Oakland vacation rentals offer guests a way to really get to know the city. The accommodations are fully furnished and are often found in San Francisco’s residential neighborhoods, including the Castro, SOMA, Sunset, the Mission District, Noe Valley and Haight-Ashbury, as well as downtown San Francisco areas like Civic Center and Union Square. Popular with members of a wedding party, family reunions, business travelers and families with children, San Francisco vacation rentals & Oakland vacation rentals are a unique option for those who like come and go at their own pace and enjoy the freedom to do things like cook for themselves or do their own laundry.